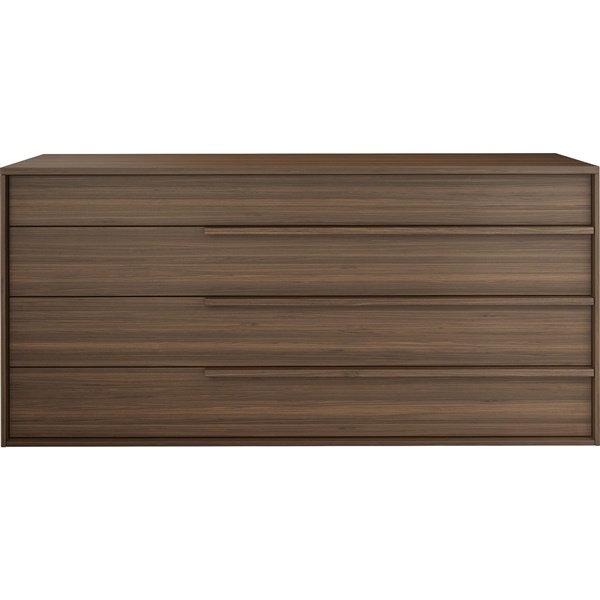 Modloft modernizes the classic 4-drawer dresser design with the generously proportioned and calmly contemporary Jane Dresser. Crisp, clean lines give this modern dresser its hip yet timeless look and accentuate its spacious design. The dresser's drawers stretch to nearly five-feet wide to provide surpassing storage capacity and create a distinctive look that fits seamlessly into lofty, urban spaces. Four extra wide drawers offer plenty of space for storing and organizing clothes and other personal items while each drawer is elegantly lined in light beige linenboard for safe storage. Hand grips that extend more than halfway across the drawers and a shadow box front are small yet vital details that give the Jane Dresser its distinctive, contemporary look. Create a consistent look in your bedroom by pairing with the Jane Nightstand, also from Modloft. what materials is this made of? The Jane Dresser is made from composite lacquered wood for the white lacquer finish and composite wood with natural veneer for the walnut or wenge finish. 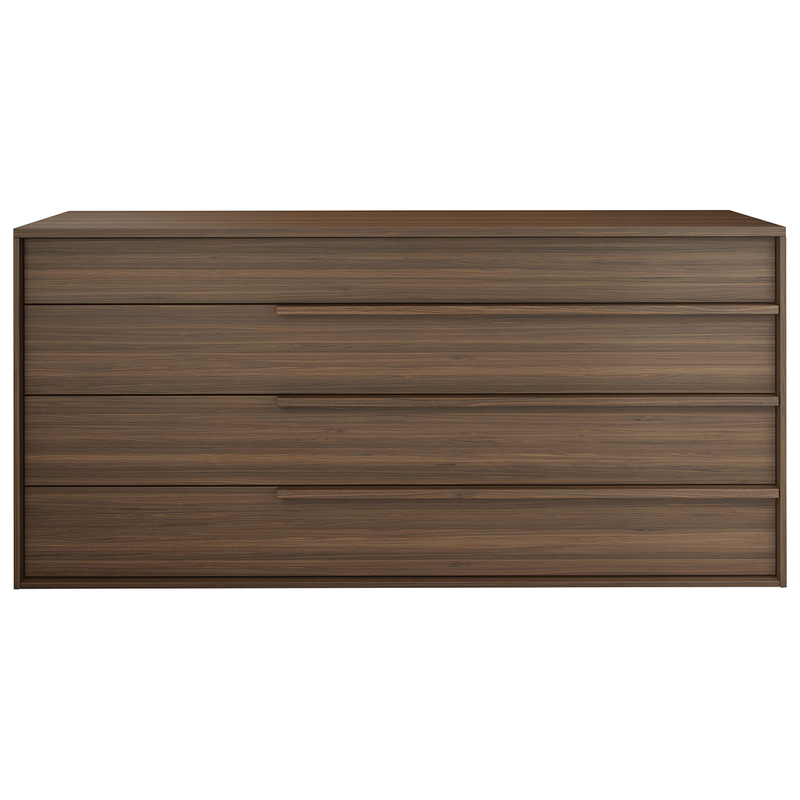 Does the walnut color in the Jane dresser match the walnut color in the Monica Bed? The walnut finish on the Jane Dresser and the Monica Bed are part of the same collection and are designed to work well together to create a stylish, modern bedroom. The wood finished can be expected to match beautifully, if not exactly. Can you please tell me the weight capacity of the Jane Dresser? Also, can you please describe the construction of the drawers themselves? 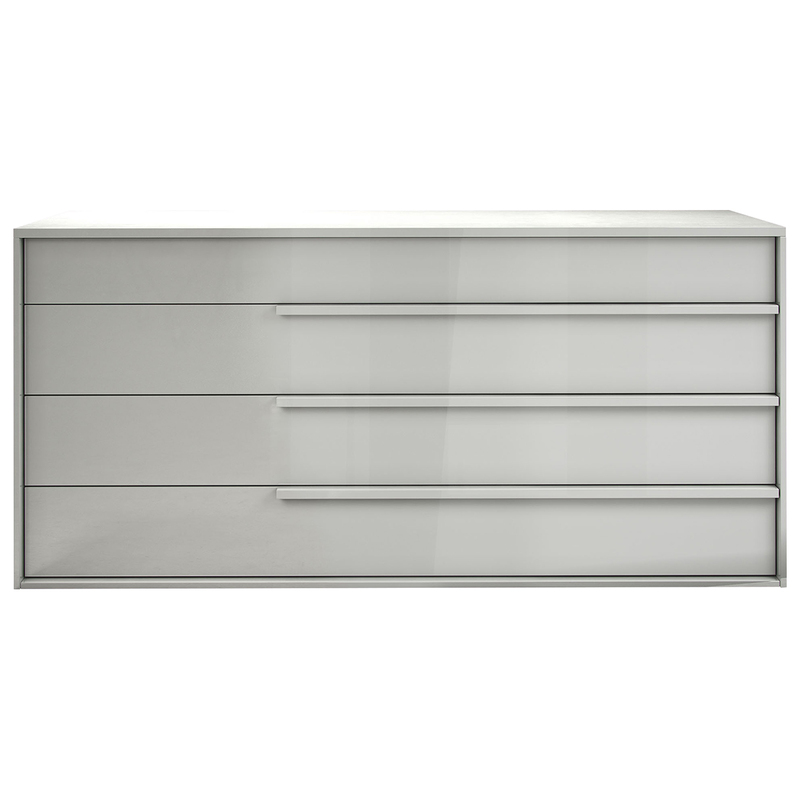 The Jane Dresser, from Modloft, has long drawers with glides on each side. The top drawer is push to open and the other ones have handles. 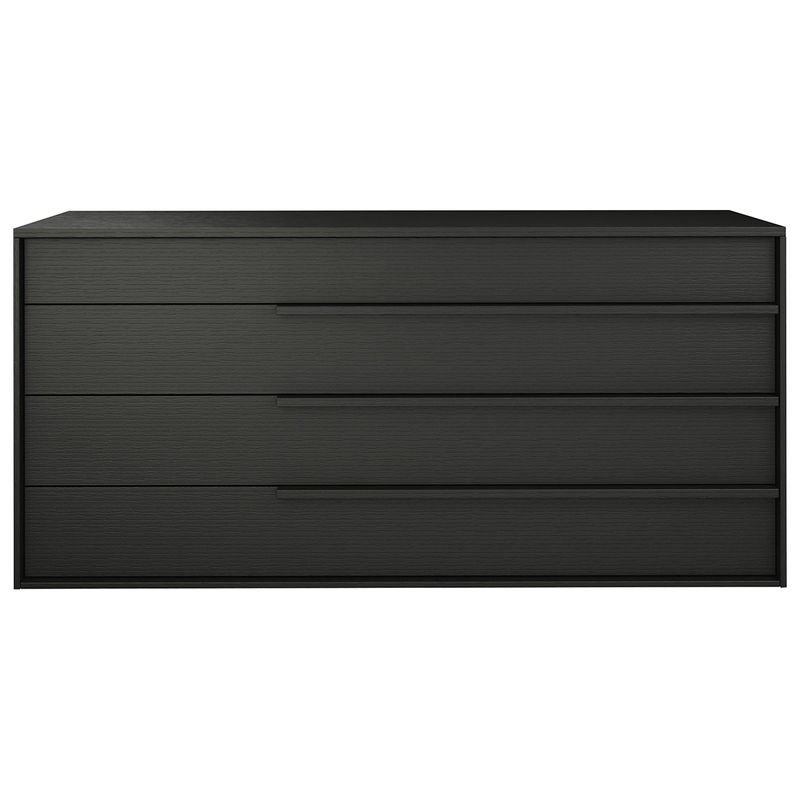 The manufacturer does not have a weight capacity for the drawers but it is made for regular use in a bedroom.